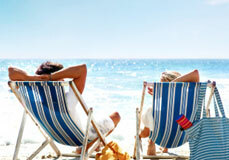 SmarTravel provides discount vacations and wholesale travel options. SmarTravel was founded in 2001 to provide quality discount vacations at a fraction of the retail rate. SmarTravel provides discount vacations and wholesale travel options. SmarTravel was founded in 2001 to provide quality discount vacations at a fraction of the retail rate. Wholesale travel choices are endless in this destination-based program that enables customers to enjoy discount vacations in many popular resort areas. We encourage the tens of thousands of SmarTravel clients to Explore, Dream and Discover. The SmarTravel corporate family shares the common goal of enriching the lives of it's customers and each other by helping people experience quality vacations through caring, professional service.